The first and most important step in researching a landlord is to consult with a tenant representative commercial real estate broker. An experienced, qualified tenant rep broker will be a priceless source of market intelligence. Be sure to retain a tenant rep broker, or risk entering a long term contract yielding years of headaches. For more on tenant representation, read Why Should I Retain a Broker to Negotiate My Office Lease? Another great source of information on landlords is the public record. Loans and mortgages are often recorded at your local Record’s office. Find out if the property is heavily burdened with debt. If so, the landlord may lose the property during your tenancy or may defer maintenance to make debt payments. You should also check tax records to see if the landlord is delinquent. If so, the landlord may be equally slow in attending to his obligations to tenants. 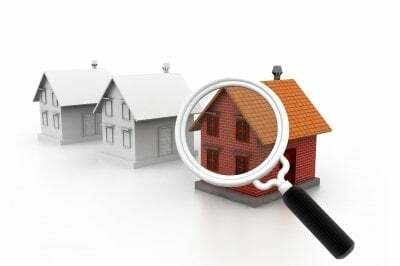 Businesses looking for office space should also search local court records for the name of their prospective landlord. If your prospective landlord appears regularly in the court record, you should reconsider your tenancy in his property. The landlord may be overly litigious or a bad actor. Either way, you want to do business with someone who plays well with others and who can solve problems outside the courthouse. Last but not least, business owners should talk to current tenants. What do current tenants like and dislike about the location and property? What are the weaknesses in property management, building maintenance, etc.? Troy Golden is President at Golden Group Real Estate. He received his undergraduate degree from Yale University in 2005. After graduation, Troy worked on political campaigns, managing a state house race in North Carolina. In 2008, he returned to school to earn his MBA in Real Estate from the Wisconsin School of Business. Today, he specializes in office space in the western suburbs. For more information, contact Troy at (630) 805-2463 or [email protected]e.com.